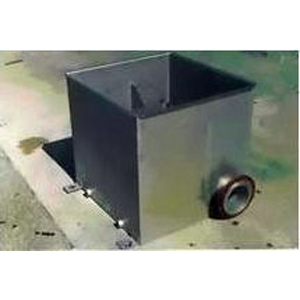 A weir tank is a water collection tank for vacuum boxes. The tank has a V-notch with labels that shows the flow existing the tank. The V-notch has been used for thousands of years to measures flow and work perfectly for “white water” since there no parts to plug.